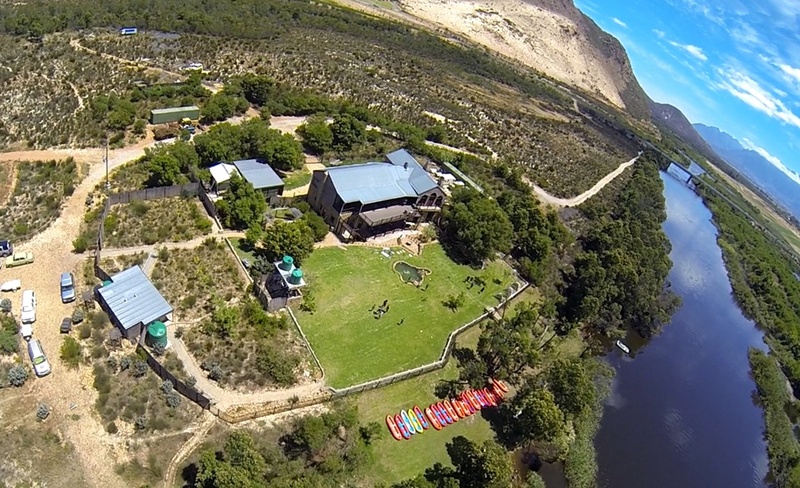 Situated on the banks of the Breede River, less than 90 min from Cape Town, lies Bonamanzi Adventures Breede River Camp. 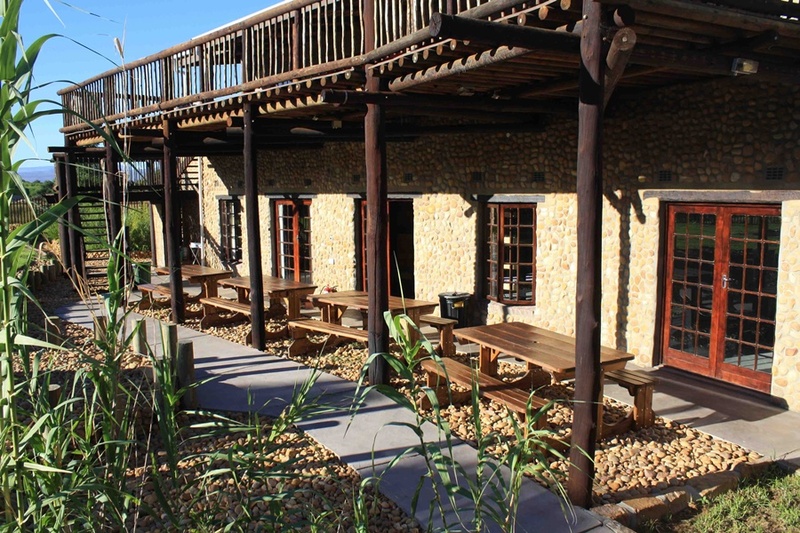 Located in the heart of the beautiful Breede Valley with a backdrop of spectacular mountains, veld and fynbos, this river camp offers a private and secluded venue which is ideal for hosting your group. 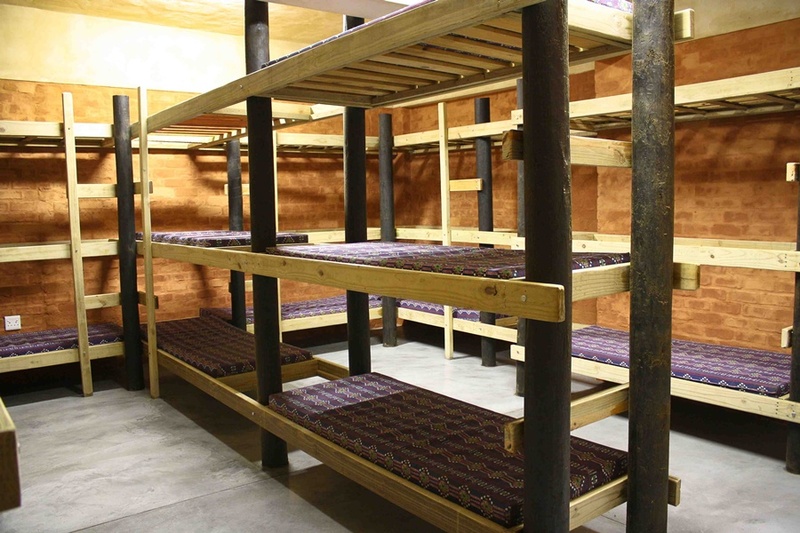 Large spacious dormitory rooms: sleeps a total of 82 guests. Camping: We have tents with mattresses should you require additional accommodation. 2 people per tent – sleeps 30 in total. Three double en-suite rooms available for facilitators. Sleeps a total of 6 in single beds. 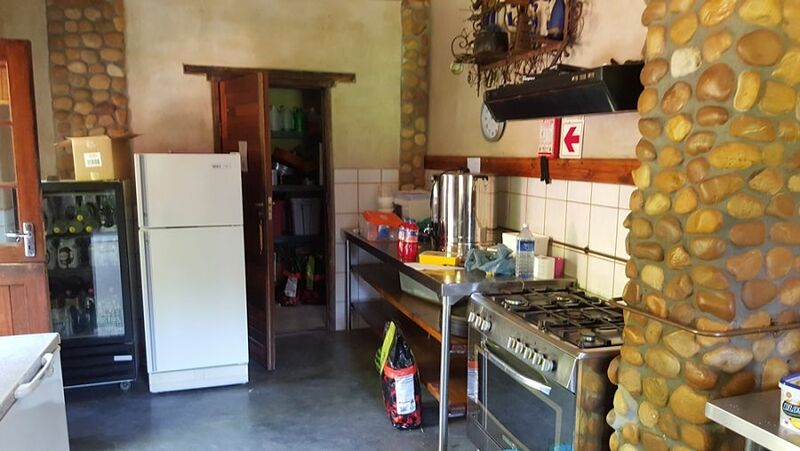 Fully equipped self-catering kitchen with cooking facilities and refrigeration. Groups to supply own cutlery and crockery (Plate/Bowl/Knife/Fork/Spoon/Cup). Cutlery/Crockery supplied for facilitators on request. 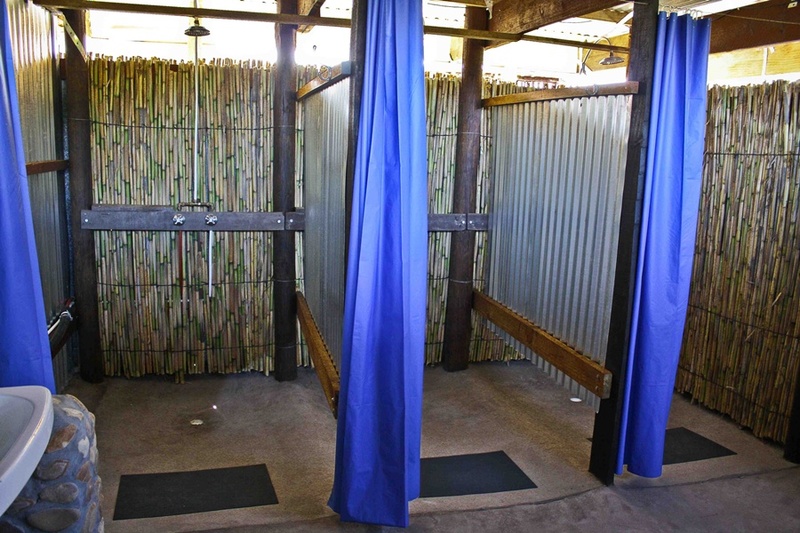 Separate male and female ablution facilities with hot showers. Braai lapa with braai grids included. Wood can be purchased. Excludes use of upstairs Bonamanzi entertainment area. 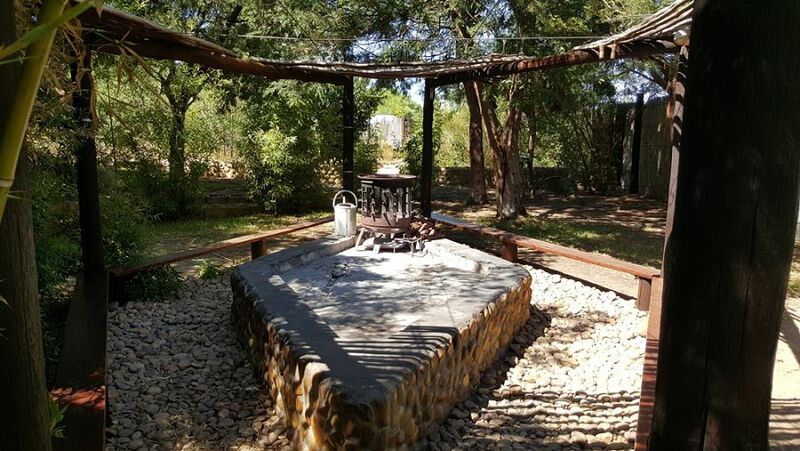 If self-catering, the camp and kitchen needs to be left clean after departure. Our energetic and efficient team of facilitators oversee all activities and are on hand to ensure that each session is a success. Each facilitator brings a different dynamic to our team, ensuring a variety of expertise and excellence. Please note, activities can only be booked on a Friday or a Saturday. There are no activities available on a Sunday. Our river guides will lead your trip as you enjoy the tranquil flow of the beautiful Breede River. Our stable inflatable rafts are easy to control, safe and loads of fun for paddlers of all fitness levels, strengths and ages. Includes a stop at the beach with a climb to the top of the dune for a spectacular view of the valley. All participating will be issued with a PFD (Personal Flotation Device). Our interactive games are a great way to encourage group work and team spirit. Facilitated by our energetic team, you will have loads of fun! Our activities are suitable for all strengths, fitness levels and ages. We offer a menu suitable for all ages. Coffee / tea served with breakfast, coldrink served with lunch and dinner. We cater for Halaal and Vegetarian. Any person with specific food intolerance’s or preferences is welcome to bring their own food substitutes. Please notify us of any special dietary requirements or food allergies 7 days prior to arrival. Groups are required to bring their own cutlery and crockery. 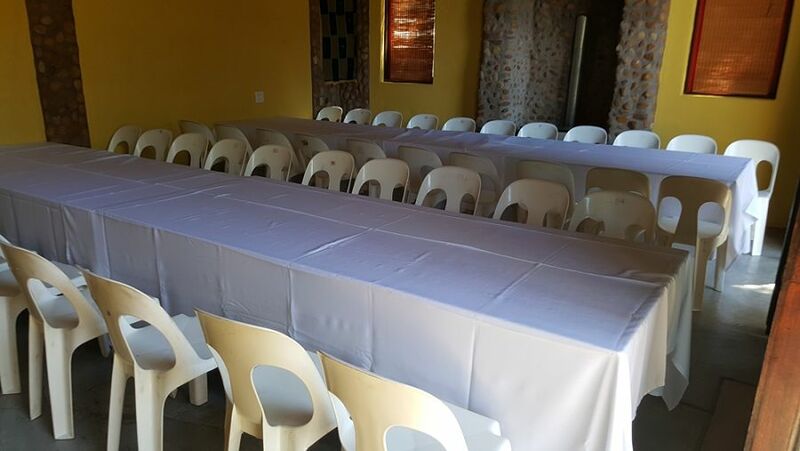 We require a minimum booking of 20 people for catering with a minimum of 5 meals.